We are a hybrid digital marketing consultancy mostly composed by freelancers. We’re also happy (if the traffic is okay) to go across Hampshire, Surrey and London in U.K. to work on any specific digital project. However, we all do prefer working remotely as we get more things done. We are much more efficient that way. We have over 25 years experience and are able to provide you with a proven track record of delivering high quality results across digital marketing services. with our clients in a pragmatic way, on a case-by-case type of project. We will aim to identify one vision, two to three goals while delivering value (mapping) and strategic approach. We’re happy to bring innovation to your business in order to detect new opportunities for growth – by looking into your competitor’s channel’s activities, and untapped market needs. 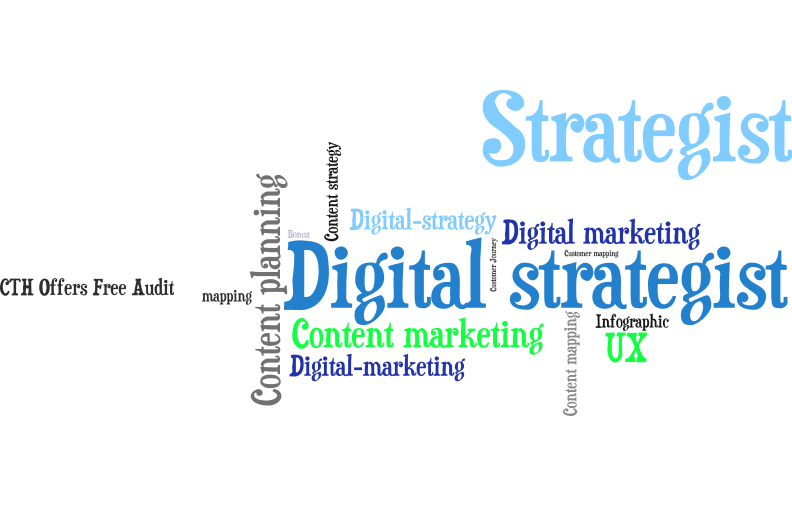 We then translate this into a one-page digital marketing strategy plan. With every client engagement, we’ll study the business’s vision and its main goals before proceeding. With our five steps framework module, we will investigate possible untapped and/or unseen market opportunities. We then collect the data, analyse it, and build a strategic process around it, before testing and deliver its functionalities. We do this with an Agile marketing mindset for quick and better results. We only share. communicate and/or deliver successful digital marketing services. We always give more than it is expected in order to maximise the value of your business. We alwlays deliver innovative, effective marketing solutions along with cost effective results. What to get from our digital marketing services? Our clients always walk away with effective content strategies, road maps and actionable plans that win more deals. We work at your side until we deliver the final recommendations and reports. We aim to create innovative business approaches, identify, reduce internal costs whilst increasing business productivity. Note: do not expect quick results, if you’re not ready to put the necessary effort into it. We are committed from day one to help marketers/businesses owners achieve their goals and deliver the best possible content to their customers. We will analyse, discover and perform deep structured market and consumer research. We’ll analyse the collected information to develop the most effective digital marketing strategy planning, whilst delivering an effective ROI throughout your channels. We seek perfection when implementing a digital marketing service – begining with internal processes, services mixed with third-party tools such as WordPress CMS, CRM, to social media workflow..etc (with so many systems and digital platforms out there, which ones are right for your business?). From audience segmentation, content audit/discovery, SEO, email marketing outreach, campaign conception to copywriting, all included in our content marketing program. We can now add mobile creative web development. We always start by analysing the market and its audiences before drawing any recommendations. By analysing market trends we are able to give you a preview on what to take in and what to avoid, all presented in two roadmap (formats) for your business. I value my business, therefore I value my clients. Before embarking on your new journey and be able to grow faster – we can help you, whether you need full or part-time consultants. We suggest starting with market research, analysis, design, planning, before even thinking to promote digital media campaigns. To give you an idea, we will help you create relevant content marketing strategy that will increase brand awareness, engagement and reputation. Whether, you decide to pick us as interim digital director, project manager or per-project digital content strategist planner. We are helping Web agencies all around the world. We can provide and/or help you with: SEO – SEM, funnel digital presence, web developers, content creation and digital strategist. Result: Client after 5 months had extra 30% in retainer fees for doing the same scope of work for future clients. This also ensured that the timing and work delivered were highly appreciated and profitable. We are a trusted partner. We can help you build and grow faster with our digital consulting services. content performance) but also identify their best tactical channels. But also spy on their competitors in order to discover value and differentiation. Get in touch today via contact page and let’s surprise you with a free audit. – or call us +44 01252 679885 for an informal chat.